For the second time in four weeks, Duke and Virginia are set to square off in college basketball’s marquee Saturday evening game, and, like last time, both teams come into the matchup red-hot. The Blue Devils and Cavaliers rank No. 2 and 3 in the nation, respectively, good enough for two guaranteed No. 1 seeds in March Madness if the season ended today. Virginia’s two-point loss at Cameron Indoor Stadium on January 19th is the only blemish on an otherwise perfect season for Tony Bennett’s squad. Virginia hosts Duke after a week off. The Cavaliers last game was a 56-46 win over Miami on February 2nd. The Blue Devils, meanwhile, had a mid-week home game against Boston College. Duke won handily, outscoring BC 52-25 in the second half, en route to an 80-55 win. BC’s Ky Bowman, a North Carolina native, has played very well in visits to his home state since joining the Eagles but scored only 11 points without the secondary scoring help of current Los Angeles Clippers guard Jerome Robinson and Wynston Tabbs, who missed yet another game with a leg injury. The last time the two teams had met was in December 2017, when BC upset then-No. 1 Duke at Conte Forum to play an early spoiler to the stacked Blue Devils hopes of an undefeated season. That Duke roster included current pros Marvin Bailey III, Grayson Allen, Gary Trent Jr., and Wendell Carter Jr.
Future-NBA players Zion Williamson, RJ Barrett and Cam Reddish stepped in this season and made sure BC didn’t repeat the upset. Williamson notched a career-high 18 rebounds in the game and attempted to throw down a thunderous dunk that, although it bounced off the rim, electrified the crowd and earned five-plus replays on the broadcast. Elsewhere around the ACC, North Carolina has quietly rebounded from some early-season struggles to legitimately challenge Duke and UVA atop the conference. The Tar Heels followed up a 103-82 victory over Virginia Tech a few weeks ago with back-to-back double-digit wins over Louisville and NC State. 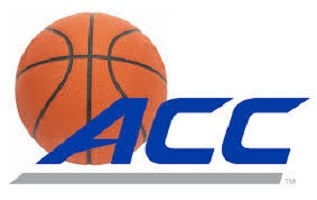 They are 18-4 overall and 8-1 in conference; the Blue Devils and Cavaliers are the only other one-loss teams in ACC play. UNC hosts Virginia Monday night as the back end of a daunting two-game stretch for the Cavaliers. NC State has come back down to earth following a scorching start in non-conference play. The Wolfpack are 4-6 in conference play since starting the season 12-1. They hit a literal and metaphorical low last week in a 47-24 loss against Virginia Tech. NC State’s 24 points came dangerously close to being the lowest total in the shot clock era (Saint Louis scored 20 points in a 2008 game against George Washington). The Pack shot 16.7 percent from the field and 7.1 percent from 3-point range. NC State was able to flip the script the next game, just not in the way the program had been hoping for. Following the Virginia Tech loss, NC State played in the aforementioned game against North Carolina. The Pack lost with defense, not offense, this time, surrendering 113 points, good for the most in matchup history. Florida State continued its up-and-down stretch of conference play with a convincing 80-62 road win against Syracuse. The Seminoles have lost to Boston College and Pitt but now boast a quality win over the Orange to go along with the near-upset of Duke. They’ll be in the tournament come March, but they are nonetheless a very tough team to project. Virginia is obviously the center of the ACC basketball world this week, with matchups against Duke and North Carolina in a three-day period. Other quality contests do, however, make it onto the ACC’s schedule. Louisville travels to Florida State and then hosts Duke. Syracuse and NC State also face off in a game of two teams heading in opposite directions. Jim Boeheim has his Orange playing some of its best basketball at the right time, while NC State is falling towards bubble watch.